* Fabric. 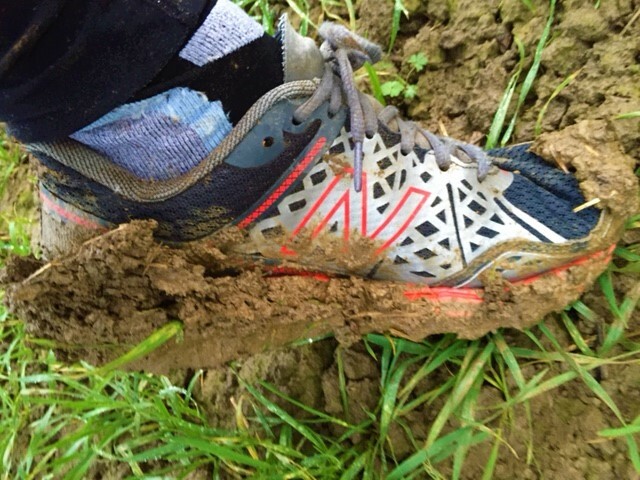 Unless you are always going to run on dry trails in dry weather and you never sweat, at some point your feet will get wet, very wet, or at least a little damp. What you should rule out straightaway, therefore, is socks made of cotton. They will rub your feet and take forever to dry, leaving you with blisters and potentially cold feet too. Socks made of man-made fabrics or wool (merino wool, as it is finer) are a much better choice. They’ll wick away sweat, dry out more quickly and retain heat better when wet, making for a more comfortable run. *Thickness. 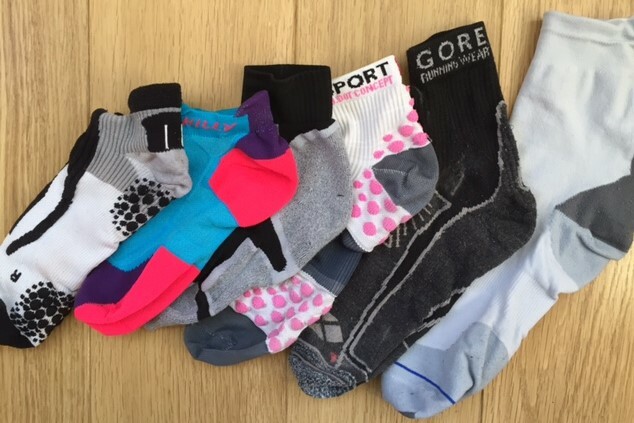 Most running socks come as a single layer, albeit of varying thicknesses. Whether you prefer a thinner sock or one with more substance comes down to personal preference and of course the size of your running shoes. There’s no point in buying those lovely thick socks if your feet are squashed into your shoes and you get blisters as a result. For those of you prone to blistering, double-skin socks could be a good choice. If you would prefer more cushioning under/around one part of your foot more than another, look for socks which offer additional padding, for example under the balls of your feet. And again, think about the kind of running you will be doing. Those all-singing, all dancing padded socks might be essential for your long distance training, but overkill for a cross country 5K. * Style. Long socks, short socks, ankle socks and anklets; running socks come in many, many styles. Again, personal preference is key, although consideration should be given to where you will be running. 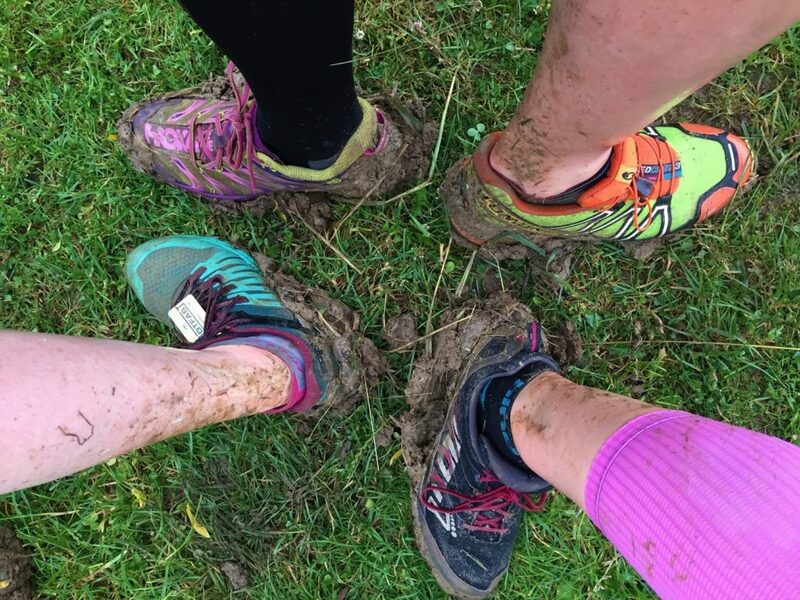 On dry, compact terrain, anklets can work well, (and, if it is important to you, will help you avoid those tell-tale runners' sun-tan sock lines); where the ground underfoot is stony and loose, an ankle sock with a tight-ish cuff will stop debris from entering your sock. 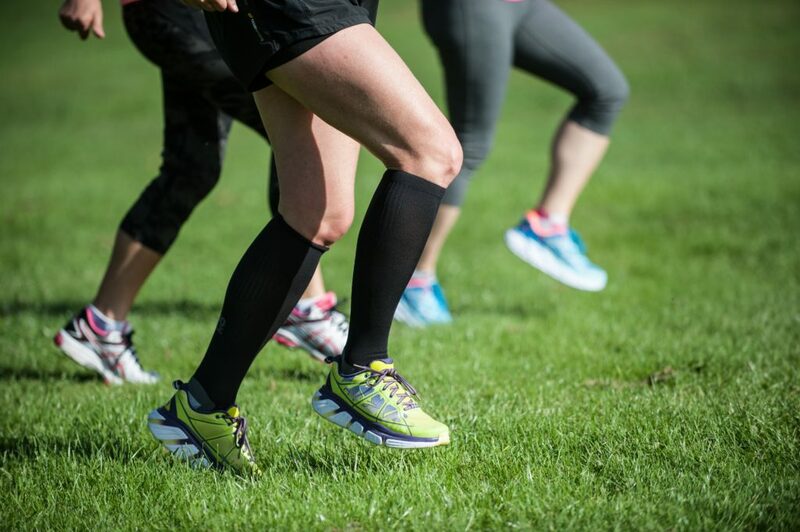 If heading through undergrowth on your run, long socks will offer your legs some protection; they can also be a good choice in that ‘in-between’ season when it’s not quite cold enough for long running tights, but too cool for shorts and short socks. * Seams. Look for socks with as few seams as possible. The more seams there are, the more potential there is for rubbing and blisters. If the socks of your choice have seams, check how flat they are. Raised seams may cause you more problems than those which are flat-locked. * Size. Having a well-fitting sock is key to your comfort so wherever possible, try before you buy. Too big and your socks may crumple up inside your shoes, causing ridges under your feet and rubbing; too small and they may cramp your feet or slide down inside your shoes, again leading to those dreaded blisters. * Price. Running socks are priced along a wide spectrum, ranging from the ridiculously cheap to the ‘oh-my-goodness-how-can-a-pair-of-socks-possibly-cost-that-much’ prices. As a general rule of thumb, the more you pay, the better quality you will get, and better quality usually means more comfort. Buy the best you can afford. Once you find a pair of socks you really like and that work for you, if you can afford it it's worth stocking up on a few more pairs. There's nothing worse than wearing your favourite socks until they are threadbare and then finding they are no longer in production. As your running career develops, you'll no doubt acquire a drawer full of socks for every running occasion, a sign that you are a true runner!